What is the best podcast to listen to about MAT? Of all of the substance use disorders, opioid addiction is probably the deadliest. Therefore, it is important that we have more open discussions about how to address this dangerous form of substance abuse in our community. Podcasters who host audio and video media programs on the topic of opioid use and medication-assisted treatment are in a unique position to provide a forum for this discussion. Have you thought about producing and hosting an MAT podcast? How do I find a MAT podcast about addiction recovery? If you have an Apple computer, phone or tablet, you can check iTunes for podcasts about addiction and recovery. However, every platform of phone or computer has podcast apps available. You may have to download an app first. On the Android platform, you can check Google Play for a podcast app. Then, look for the search feature to find podcasters who talk about drug addiction and alcoholism. Another good source is Google. You can search for various topics, such as drug use, relapse, recovery, addiction treatment, behavioral therapies and much more. Once you find a podcast that you like, you should be able to subscribe through the podcast app of your choice. What is the difference between radio and podcasting? If you are a fan of talk radio on the AM band, you are already familiar with the format of most podcasts. I have listened to several excellent addiction recovery radio programs on AM radio. I remember one good one in particular that aired early Sunday morning. The problem with old-fashioned radio is that you have to be available to listen when the show is broadcasting. And, if you hear something you like, there is no way to rewind and go back again. A podcast, on the other hand, is essentially an mp3 audio file that you can stream or download on your device. Subscribers will know when new episodes are released. When you subscribe to a show, you will get an alert whenever that show comes out with a new episode. Then, you get to listen at your convenience. If you hear something you really like, you can rewind and listen to that part again. The unique advantages of podcasting are perfect for the topic of drug addiction. Especially, to get the word out about medication assisted treatment and to promote the life-saving benefits. How can podcasters help to get medication-assisted treatment with buprenorphine into more treatment programs? There is an opioid crisis in this country and we have the tools to combat this opioid epidemic. Methadone, buprenorphine and naltrexone can greatly improve success rates for treatment programs. On my podcast, The Rehab, I discuss addiction treatment and recovery with my guests. While MAT is not always the topic, I do bring it up to discuss with various guests how medication-assisted treatment can better integrate with other treatment options. I have also had shows fully dedicated to MAT with buprenorphine. Interview guests who can help you to deliver important messages to your audience. For example, I interviewed top addiction expert, Adam Bisaga, M.D., and we discussed buprenorphine treatment at length. Here is a link to the transcript of that podcast. We did also discuss naltrexone and methadone. In researching to prepare for this episode, I learned a few new things about methadone treatment and how it is still relevant in modern addiction treatment for opioid use disorder. There are podcasters out there saying negative things about MAT. Since MAT is proven to be the best way to prevent relapse and opioid overdose, it is important that more podcasters hosting addiction recovery programs highlight the positives of medication-assisted treatment of opioid dependence and addiction. Is hosting your own addiction recovery MAT podcast a good idea? The idea of getting started in podcasting can seem to be overwhelming. In fact, if you are thinking about providing your own MAT podcast feed, I recommend that you not compare podcasting to radio broadcasting too much. 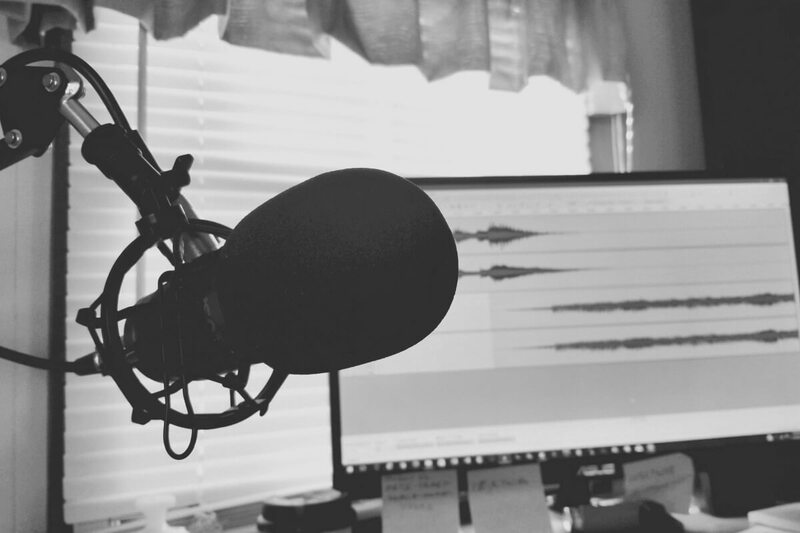 While there are podcasts that are recorded in fancy studios that rival radio and television studios, you really don’t need much to get started. If you have a smart phone and an internet connection and a message to share about the topic of opioid use disorder and substance use disorder, you already have what you need. I do recommend that, if possible, get a computer and a decent microphone and headphones. Sound quality is very important. A USB mic can make a big difference. If you can improve the sound quality of your audio, you will keep more listeners. Also, an interviewing guests format can help you to bring new information and great conversation to your audience. It also saves you from having to do all of the work speaking. Your guests will help you to spread the word about your podcast. A Google search will help you find a platform to take care of the hosting of your MAT podcast. The podcast platform will help to make your podcast searchable in all of the major podcast apps and iTunes. To learn more about podcasting, find some podcasts similar to what you want to do and try to find out how they do it. You will be surprised how helpful podcasters are when you reach out by email. Can a podcast help to attract new clients to a treatment center? If you work in the addiction recovery field, such as a mental health facility providing behavioral therapies for addiction and medication-assisted treatment, you must consider starting a podcast. But, I must warn you, do not use your podcast to directly advertise your business. If you operate a substance abuse treatment facility, you will want to attract new clients and the MAT podcast can definitely help. However, directly advertising your program will chase away listeners. Your audience wants to be entertained and informed with interesting stories and fascinating information as well as new ideas and new ways of thinking. Provide value to your audience, not advertising. If you turn your podcast into a marketing platform for your treatment program, listeners will go elsewhere. That being said, if you provide thought provoking material about substance abuse and relapse prevention and treatment options, your audience will connect the dots and consider reaching out to you about your treatment program. So, don’t turn your MAT podcast into one big commercial for your business. Provide value to your audience and it will pay off in the long run. If you want to produce a podcast about opioid addiction treatment, think about how you can provide helpful information and motivation. Medication-assisted treatment is the future of treatment of opioid use disorder. There is no doubt that the drug treatment industry is moving towards increased use of MAT. While we are still off to a slow start, at least MAT is finding its way into programs that traditionally rejected medication-assisted treatment. If you or a family member is looking for treatment options, listening to podcasts is a great way to find out what is going on in the addiction treatment business. Or, if you are interested in hosting a podcast, I encourage you to just jump in and get started. Podcasting is fun and rewarding, especially when you can provide great value to your audience and truly help people to get the help they need.